The World Congress of Audiology, held biennially since 1953, had been hosted on every continent of the world except for Africa. The 34th World Congress of Audiology, held recently in Cape Town, made history by being the first to be hosted on African soil. The International Society of Audiology co-hosted the event with local associations including the South African Association of Audiologists (SAAA), South African Speech-Language and Hearing Association and the ENT society. Prof De Wet Swanepoel, current President of the International Society of Audiology from the Department of Speech-Language Pathology and Audiology in UP’s Humanities Faculty, co-chaired the meeting with Dr Susan Strauss from SAAA. The international society is the global home of audiology and supports and advances audiology around the globe. The society’s biennial World Congress of Audiology provides a unique platform to showcase audiological research from around the world. 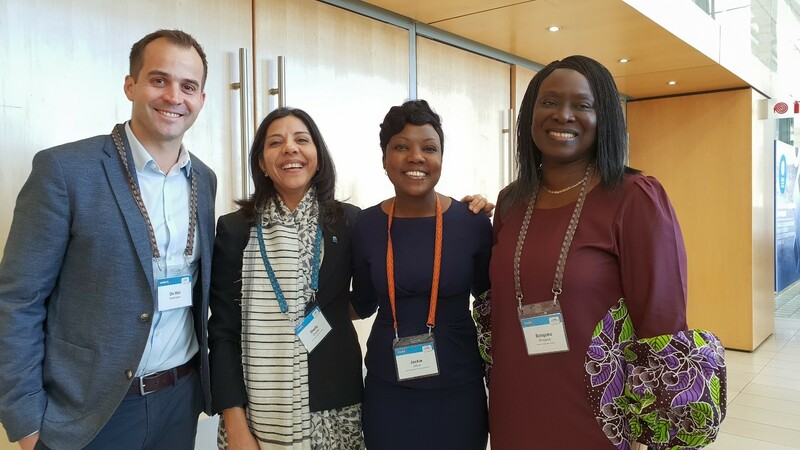 This historic World Congress of Audiology in Africa brought together more than 1000 delegates from 55 countries, showcasing more than 450 presentations at the Cape Town International Convention Centre. A major theme of the meeting focused on equitable access to hearing care for the 466 million people estimated to live with disabling hearing loss, of whom more than 80% live in low- and middle-income countries (WHO, 2018). Professor Swanepoel, a B2 rated scholar and co-chair of the conference in UP's Department of Speech-Language Pathology and Audiology, said the following about the significance and outcomes of this World Conference: "Bringing together researchers and clinicians from around the world during this historic occasion has showcased the people and work from Africa while uniting global efforts to see equitable access to hearing care prioritised." The congress also came into the spotlight with a video launched at the event which showcases the sound of Mzansi giving international delegates a wonderful experience of the rich diversity of South Africa’s people, landscapes reflected in sound.